B.A., University of New Mexico; M. M., Peabody Institute. In addition to frequent performances with various area chamber and orchestral ensembles, Kathy is the Assistant Concertmaster of the Vermont Symphony Orchestra, Concertmaster of Opera North, a member of the Springfield Symphony Orchestra and the Burlington Chamber Orchestra, and teaches in Norwich, VT.
Steve lives in Keene, NH and performs with professional groups throughout New England. Highlights of Steve’s playing career as a bassist include performances with The “Rat Pack is Back” and “The Crooner and the Dame” Vegas Reviews, Joan Rivers Comedy Act, The Scott Mullett Trio, The Montreal Jazz Festival, Raylynmore Opera, Keene Chamber Orchestra, Keene Jazz Orchestra, Windham Orchestra, with The Opera Theatre of Weston, and at the Palace Theater in Manchester NH, where he is house bassist. Steve holds a BM and a BA from Keene State College, where he was a freshman talent-scholar and KSC Instrumentalist of the Year in 2002. Steve has been a performer in several world premiers by New Hampshire composer Ted Mann, and has completed his own major compositions for jazz ensemble, dance accompaniment and solo bass. Steve has been teaching music at Vermont Academy in Saxtons River, VT since 2002, where he directs Jazz and Chamber Ensembles, teaches Music Theory, Music Appreciation, and Electronic Music. Steve is also adjunct instructor of double-bass at The Brattleboro Music Center, teaches bass methods at Keene State College, and teaches private electric and double-bass students in Keene. Steve enjoys studying improvisation, electronic music, mountain biking, and sailing with his wife as personal interests. Kristen Carmichael-Bowers has been teaching people to sing since 1986, and she is currently working with singers ages 5 and older, from beginners to professionals. Skilled in teaching techniques ranging from Bel Canto to Contemporary Commercial Music (CCM), she has had students singing in the NATS musical theatre national semi-finals, performing opera in Salzburg, and appearing in Broadway musicals. Kristen conducts master classes and vocal workshops for choral ensembles and groups of individuals wishing to work on singing and fundamental musicianship. She is the founder and director of the “Get Real!” summer vocal music programs at the Brattleboro Music Center, and she is a co-founder of Music Adventure Program (MAP), which is an exploratory music class for youth with disabilities. Kristen firmly believes that it is the birthright of every person to sing; it’s only a question of style and venue.In addition to teaching at The Brattleboro Music Center, Kristen has been a member of the voice faculties of Smith College, Northern Stage, Vermont Academy and The Putney School. She now resides on the island of St. John in the U.S. Virgin Islands, where she collaborates with New England Youth Theater (NEYT) to bring musical theater to the local high school. Kristen is founder and director of the St. John Women’s Ensemble, St. John Recovery Choir and St. John All-Island Children’s Choir. Flynn is a professional mandolin and acoustic guitar player who has a long resume as both a performer and a teacher. 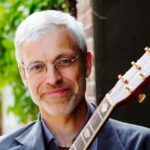 He is a founding member of the nationally-touring American folk band Low Lily, and was a visiting lecturer in Music at both Keene State College and Bridgewater State University. He is also a composer of plucked string music and has had works performed by chamber ensembles across the western world. Mr. Cohen has degrees in Music Composition from Dartington College of Arts in Devon, England and Mills College in Oakland, California where he was a classical mandolin student of Paul Binkley (of the Modern Mandolin Quartet). He specializes in new music for mandolin ensembles, modern interpretations of Renaissance plucked string music, Irish traditional music, and bluegrass mandolin styles. B.A., University of Michigan. 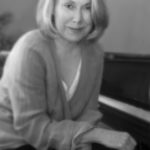 Susan studied piano with Charles Fisher and Gyorgy Sandor, and was choral assistant to Maynard Klein at the University of Michigan, where surprising to many – she also received an undergraduate degree in biochemistry and worked for a short period of time in research at the Medical School. Upon moving to Vermont, Susan joined the piano faculty at the Brattleboro Music Center and served as Artistic Director of the Brattleboro Concert Choir from 1990 to 2018. She is the founder and co-director of Winged Productions, The Choir School, and VT Repertory Singers. She has been director of chorus at Marlboro College and the Bach Festival Children’s Chorus. A long time church musician, Susan serves as Director of Music at St. Michael’s Episcopal Church. Riley has a BM in Music Education from the School of Music at Ithaca College. A native of southern Vermont, Riley studied classical and jazz trombone with Dr. Harold Reynolds and Jeffrey Grey in Ithaca, NY. There, he performed with various orchestras, choral groups, jazz big bands, and smaller chamber and dance music ensembles. He now performs frequently in southern Vermont and around the Northeast, and his stage appearances run the stylistic gamut: from classical brass ensembles, to funk rock groups, to traditional contra dance bands. Riley is also a vocal and instrumental teacher in the Windham Southeast Supervisory union, and has done clinic and ensemble coaching work in the area. BS in Music Education- Western Connecticut State College, MM in French Horn – Manhattan School of Music. A student of David Jolley, Karen is currently a member of the Windham Orchestra and an instrumental and vocal music teacher at Whitingham Elementary School and Twin Valley Middle School. She was formerly an adjunct professor of French Horn at Keene State College. She is also a former member of the Orquesta Filarmonica de Caracas and the Orquesta Municipal de Caracas, Venezuela, and has played with numerous groups in New England. B.A., Mills College. A student of David Abel and Kato Havas, Michelle is a member of Arcadia Players, and free lances throughout New England. She teaches adult beginning violin class, coaches chamber music and specializes in the New Approach. She also teaches at Northfield Mount Hermon School. B.Mus., M.Mus.Ed., New England Conservatory; Certification, Kodaly Musical Training Institute. A member of the faculty since 1983, Luba is a frequent accompanist in the area. She has performed in numerous recitals as a soloist, and has appeared with the Windham Orchestra. Luba is also on the faculty of the Chesterfield School in New Hampshire. B.A., U.C. Santa Cruz; M.A., City College of New York. Robin was a student of Frances Blaisdell and Deirdre Manning. She has performed on both the East and West coasts as a soloist and in orchestral, opera, chamber, and jazz ensembles. Before moving to Vermont, in 1992, she taught graduate courses at the City College of New York and in the New York City public schools. She also teaches flute at Keene State College and directs the flute ensemble. Keith is a veteran performer, teacher, composer and recording artist in the traditional arts. For twenty years Keith has toured extensively as a singer and guitar, mandolin and piano player appearing at festivals, folk clubs and performance art centers. Originally from Newfoundland, he has been based in Brattleboro since the early 1990s. He has taught instrumental classes at dozens of traditional music events around the country, working with hundreds of mandolin players, piano players and guitarists. Moby Pearson grew up in the Boston area where he studied with Lucy Parker and George Zazofsky. He received his degree from Oberlin Conservatory as a student of Robert Soetens and Steven Staryk. Mr Pearson’s active chamber music career has included extensive periods as principal violinist with the Apple Hill Chamber Players and the Atlanta Chamber Players, with concerts at Carnegie Recital Hall, Merkin Hall, Alice Tully Hall, and the Phillips Collection (Wash. DC), as well as tours to Europe, Africa, and the Middle East. He has performed with many Boston area orchestras and ensembles including Cantata Singers, Emmanuel Music, Boston Muscia Viva, Boston Lyric Opera, and the Boston Pops Esplanade Orchestra. Mr Pearson has been a soloist with the Concord Chorale and the Nashua Chamber Orchestra, as well as giving many solo recitals including Jordan Hall, the Gardner Museum, and WGBH radio. In addition, Mr. Pearson has performed with the Orpheus Chamber Orchestra in Carnegie Hall and major concert halls throughout Europe. Recordings include the Deustche Grammaphon, Centaur, and Koch labels. Currently he is a member of the Sarasa Ensemble. His violin is by Bartolomeo Tassini, 1752. B.Mus. and M. Mus. New England Conservatory; private studies with Nadia Reisenberg and Stell Andersen. A former teacher at the Preparatory Division of the New England Conservatory and at Keene State College, Chonghyo now teaches at Amherst College. She has been a soloist with the Boston Pops, the Pioneer Valley Symphony, the New England Conservatory Orchestra, and the Windham Orchestra. M.Mus., in flute, clarinet, saxophone, and recorder, Ohio State University. Bill has performed and recorded widely as a member of RosenShontz, the nationally acclaimed duo. He has also taught at the University of Illinois, Ohio State University, Muskingum College, and Bluffton College and performs classical and jazz for children, families and adults. Heather was born and raised in El Paso, TX, where music became the foundation for her continuing studies at Bennington College. At 16, she began playing with the El Paso Symphony under the direction of Gurer Aykal, an opportunity which prompted the beginning of her professional career. During her time at Bennington, Heather worked closely with emerging composers, performing a countless number of new works. As first violinist of the Bennington College String Quartet, she traveled with the group to perform and teach in Kingston, Jamaica, and the Czech Republic. Today, Heather continues to promote new music as a regular performer for Brooklyn Emerging Artists, as well as the experimental folk band, Horse’s Mouth. 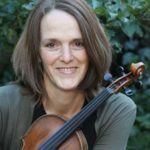 She has recently returned to the southern Vermont area having spent the past several years teaching both group and private violin classes in New York City. Heather is dedicated to nurturing passion, dedication, and enthusiasm in all her students to maintain a healthy balance of technical proficiency and musical integrity. Peggy Spencer was concertmaster of the New England Bach Festival Orchestra under the direction of Blanche Honegger Moyse for two decades, charming Marlboro audiences with the violin solos in all of Bach’s great choral works. She is also a consummate chamber musician (a former member of the Bella Rosa Quartet and the New England Camerata) and has toured with various period instrument ensembles throughout the country. She has taught at Putney School, Brattleboro Music Center, Bennington Chamber Music Conference, and Apple Hill Center for Chamber Music. She owns a farm in Guilford, Vermont. fiddle, traditional music classes, summer programs, Northern Roots Traditonal Music Festival. Becky’s fiddle playing and repertoire combines elements of traditional Irish and French Canadian music. She is a veteran of the New England contra dance scene and has performed and traveled widely. Becky began playing for contra dancing in Maine, bending her early classical training to the demands of dance music. Later, she studied Irish fiddling styles with Brendan Mulvihill and Eugene O’Donnel and French Canadian fiddling with Lisa Ornstein. 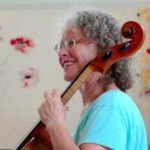 She has been a defining presence in some of the most popular and innovative contra dance bands to come out of New England, being the fiddler for both Wild Asparagus and Nightingale. B.A. Wellesely College. Kim Wallach is a music teacher, singer, songwriter, mom, camp counselor, Short Sister, Children’s Music Network board member, avid reader, and gardener. Before moving to New Hampshire in 1990 and settling into teaching Kim studied with legendary Scottish singer Jean Redpath, busked in subways and on the streets of Boston, played at Club Passim, founded the Short Sisters singing trio, toured extensively, taught music to toddlers at the Brookline Arts Center and in Wellesley and found time to record more than a dozen albums and raise a daughter.